HONG KONG (Reuters) – China’s Huawei Technologies Co Ltd expects 2017 revenue to rise 15 percent to 600 billion yuan ($92.08 billion), its rotating chief executive, Ken Hu, said in a New Year’s message to staff posted on its official WeChat account on Friday. 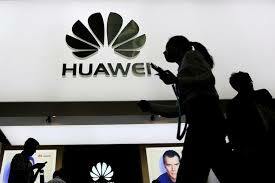 That would make it the slowest revenue growth in four years for Huawei, the world’s third-largest smartphone maker after Samsung Electronics Co Ltd and Apple Inc.
Hu also said Huawei’s smartphone shipments in 2017 totaled 153 million units and its global market share surpassed 10 percent. Huawei vowed to focus on profit after posting near-flat annual profit growth in March, weighed down by its fast-growing but thin-margin smartphone business and heavy marketing spending. Its leading position in the world’s biggest smartphone market came under threat from local rivals over the past year and a half. Huawei’s China market share was 22.3 percent in the third quarter, followed by OPPO at 21.6 percent, showed latest data from IDC. The industry tracker forecasts China’s total smartphone shipments in 2017 to shrink slightly compared with a year earlier. In his message, Hu said Huawei’s enterprise business needs to “maintain mid-to-high growth speed and become a pillar business for the company in five years”. He also asked for its consumer business to continue to improve profitability, its new public cloud business to increase in scale, and its core carrier business to beat the industry.